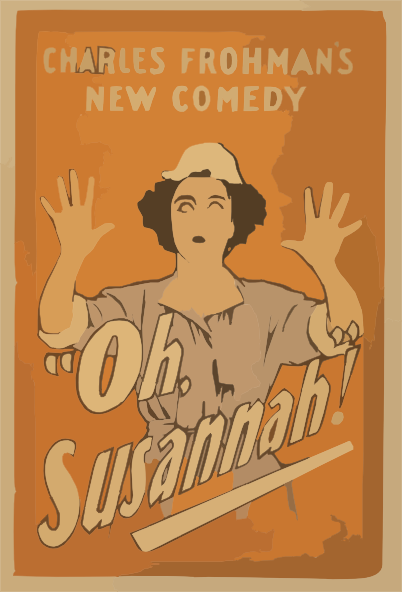 Charles Frohman's new comedy, Oh, Susannah! Charles Frohman S New Comedy, Oh, Susannah! Charles Frohman Presents Miss Maude Adams In A New Comedy, The Little Minister By J.m. Barrie. W.p.a. Federal Theatre Presents Machine Age A New Musical Comedy By William Sully .... Music By Bert Reed A Variety Theatre Production. Charles Frohman S Latest Production, The New Play Zaza Adapted By David Belasco. The New Fogg S Ferry The Comedy Drama By Chas. E. Callahan. Royal Lilliputians A New And Original Idea In Comedy : The Season S Only Novelty.